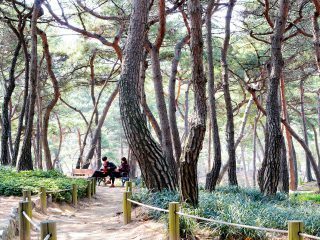 Nestled away on Korea’s beautiful West Sea coast and just a short drive from the major southwestern city of Gwangju, the rural town of Hampyeong is as laid back and relaxing as any place in Korea. 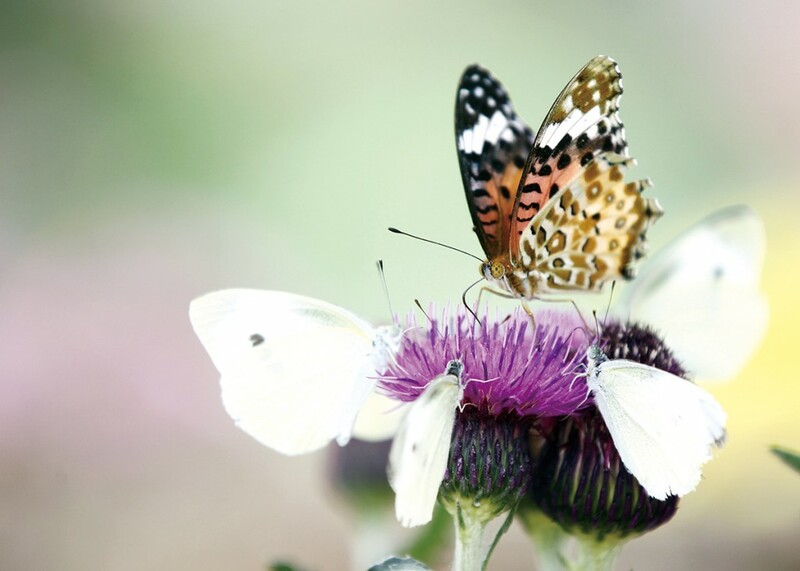 In May, however, visitors will descend by the thousands to take in the Hampyeong Butterfly Festival, one of the country’s most popular spring celebrations. 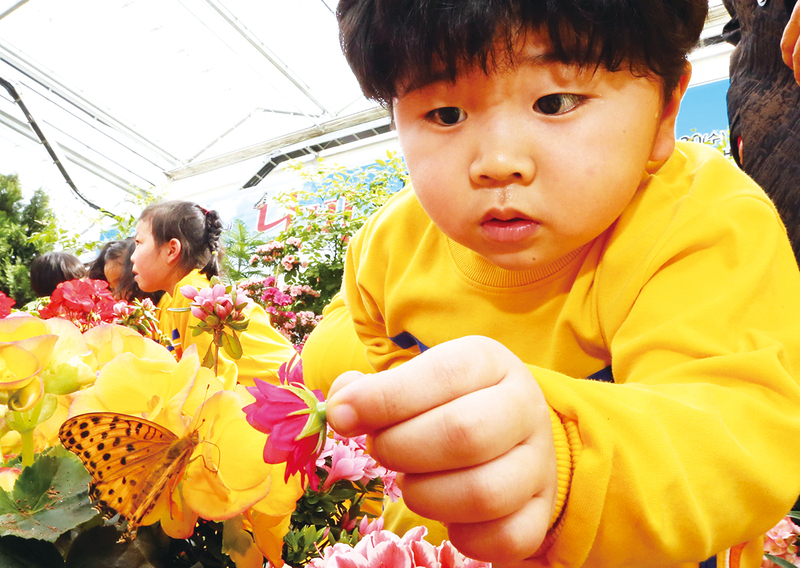 Families with small children in particular will relish this opportunity to let their youngsters chase after the brightly colored insects that flutter above the beautiful spring blossoms. Every spring, the plains along the Hampyeongcheon Stream explode into a riot of color when the region’s 3,000 square meters of canola flowers begin to blossom. The bright yellow flowers are irresistible to the local butterfly population, which floods the fields in search of nectar. In so doing, they become important agents of biodiversity, carrying pollen even longer distances than bees. First held in 1999, the Hampyeong Butterfly Festival (May 1-10) celebrates this natural spectacle with exhibits, hands-on programs, cultural performances, markets and more. Needless to say, the butterflies are the star of the show here, and the highlight of the festival, especially for the kiddies, is an interactive program in which participants release a jar of butterflies into the wildflower fields. There is also a large-scale butterfly exhibit with thousands of specimens on display (both alive and formerly alive), a butterfly-themed 3-D film and rides through the surrounding field on either bicycles or the tourist train. Kids – and grown-up kids – can also try their hand at catching mudfish, chase after piglets, feed farm animals, milk cows, use traditional farm equipment and much, much more. Most of the events take place around Hampyeong Expo Park, the venue of the 2008 Hampyeong Butterfly & Insect Expo. For something a bit more conducive to calm reflection, head to the coast and take in a sunset at Dolmeori (“Stone Head”) Beach. When the weather allows, the sunsets here burn a beautiful crimson. Due to the notoriously dramatic West Sea tides, something of an artificial pool has been made for swimmers through the creative use of unobtrusive breakwaters. What this has also done, however, is provide a relatively shallow and tranquil water surface that draws landscape photographers in large numbers. At the very end of the beach is a point with some pavilions set up. If you are not photographing the sunset, this a great place to sit back with a coffee or other beverage of choice and watch the sun go down on another day. Located on the slopes of Mt. Oaksan, the Buddhist temple of Yongcheonsa was completely rebuilt after being burned to the ground during the Korean War (1950-1953). It’s a pleasant enough place, to be sure, but you’re probably better off giving it a pass in the spring and summer. In autumn, however, the forests surrounding it come alive as their fields of red spider lilies bloom. The largest such fields in the country, they shine a brilliant ruby color in the early morning sunlight as it pokes through the trees. If you can make it down here in mid-September or early October, by all means do so. Crossing the stream that separates Hampyeong from the neighboring town of Naju, the Gomakcheon Stone Bridge was erected in 1273 under the direction of Gomak Daesa, a high-ranking Buddhist monk. It’s said the monk, who often found it difficult to cross the stream, used magic to build the passage. Some 20 meters long, it is currently the only surviving bridge from the Goryeo Dynasty (918-1392) in South Korea. In the 720 years that have passed since the bridge’s construction, the structure has survived countless floods and other calamities, and is still the only means of getting through the surrounding fields of flowers. It strikes a calming harmony with its natural surroundings, putting the viewer at peace. STAY> Hampyeong has several small motels and inns. For something a bit classier, try the Hampyeong Dynasty Country Club (T. 061-320-7717). EAT> Hampyeong is famous for its beef, or hanwoo. 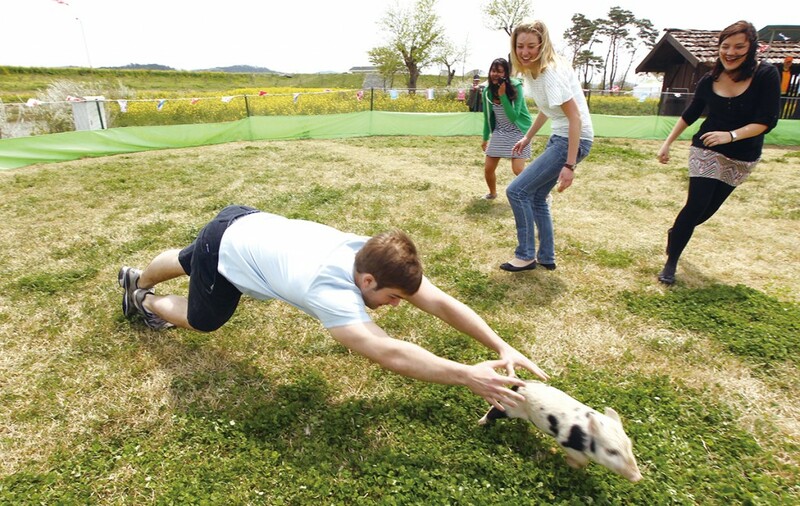 Hampyeong Cheonji Hanwoo Plaza (T. 061-323-3366), run by the Hampyeong National Livestock Cooperative Federation and located right in front of Hampyeong Expo Park, is a great place to try it. You’ll find all sorts of barbecued meats, of course, but for a real delight, try the hanwoo yukhoe bibimbap, a bowl of rice mixed with seasoned vegetables and raw hanwoo beef. A cozier option of particular local renown is Hwarang Sikdang (T. 061-323-6677), which serves the aforementioned hanwoo yukhoe bibimbap as well as seonjiguk, a spicy soup made with clotted ox blood. GO> Buses to Hampyeong depart from Seoul’s Central City Terminal (travel time: 4 hours, 20 minutes). You could also take a train to Hampyeong Station from Yongsan Station (travel time: 4 hours, 10 minutes).